A#1 Cab Dispatch is Elgin's local taxi service. Make Reservations Anytime. Pay with Cash or Credit. A#1 Cab Dispatch is Schaumburg's local taxi cab service. 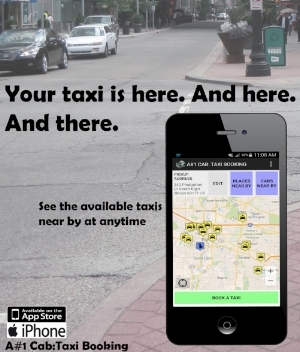 Download the A#1 Cab Taxi Booking APP. Average waiting time in Schaumburg is approximately 15 minutes. Pay with cash or credit. Reservations accepted. A#1 Cab Dispatch is East Dundee's local taxi service. A#1 Cab Dispatch is Bartlett's local taxi service. Average wait time in Bartlett is approximately 15 minutes. A#1 Cab Dispatch is Algonquin's local taxi service. Average wait time in Algonquin is approximately 15 minutes. A#1 Cab Dispatch is Hoffman Estates local taxi service. Average wait time in Hoffman Estates is approximately 15 minutes. A#1 Cab Dispatch is Gilberts local taxi service. A#1 Cab Dispatch is your local taxi service in Streamwood IL. Download the A1 Cab Taxi Booking APP. Average waiting time in Streamwood is approximately 15 minutes. A#1 Cab Dispatch is your local taxi service in Geneva IL. A#1 Cab Dispatch is South Elgin's local taxi service. A#1 Cab Dispatch is West Dundee's local taxi service. A#1 Cab Dispatch is Pingree Grove's local taxi service. A#1 Cab Dispatch is your local taxi service in Huntley IL. Average waiting time in Huntley is approximately 15 minutes. A#1 Cab Dispatch is Carpentersville's local taxi service. A#1 Cab Dispatch is your local taxi service in Saint Charles IL. Average waiting time in St.Charles is approximately 15 minutes.